We here at the Final Turn stood true and firm to honour these two soldiers. 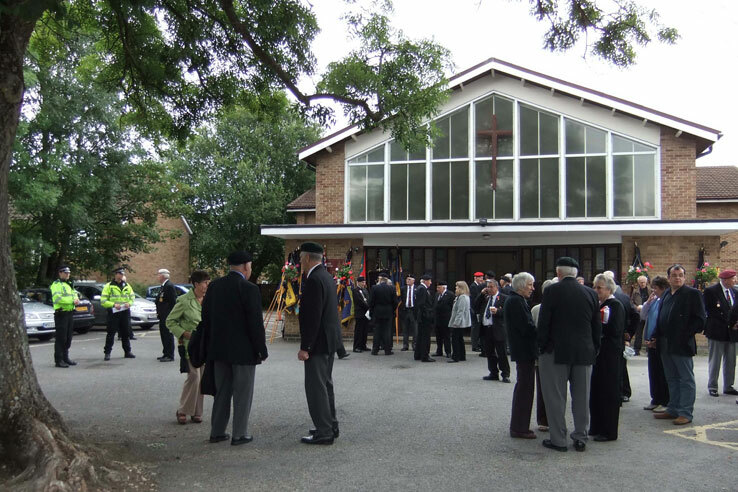 There were 10 Royal British Legion standards paraded: Bicester & Launton, Bloxham, Chalgrove, Headington, Henley, Kidlington, Kidlington Womens Section, Marston and Wheatley. 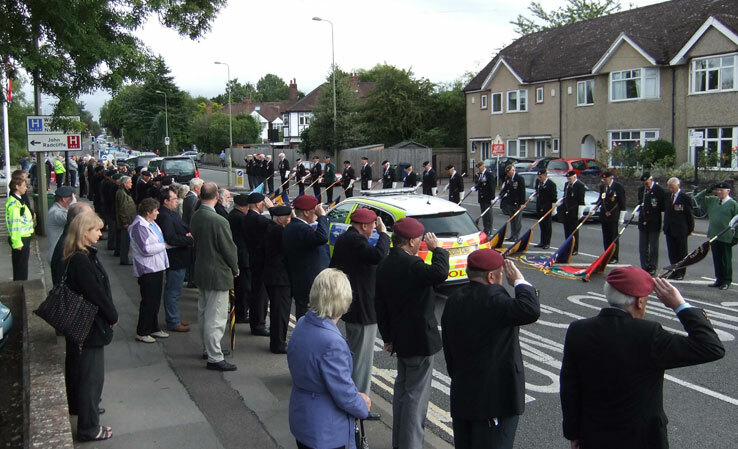 Association standards included The Coldstream Guards, Guards Division (Newbury), RAF Police, Royal Marines (Bicester), Royal Navy & Royal Marines (Oxon), The Royal Tank Regiment (Oxon) and The Banner of The Royal Dragoon Guards. 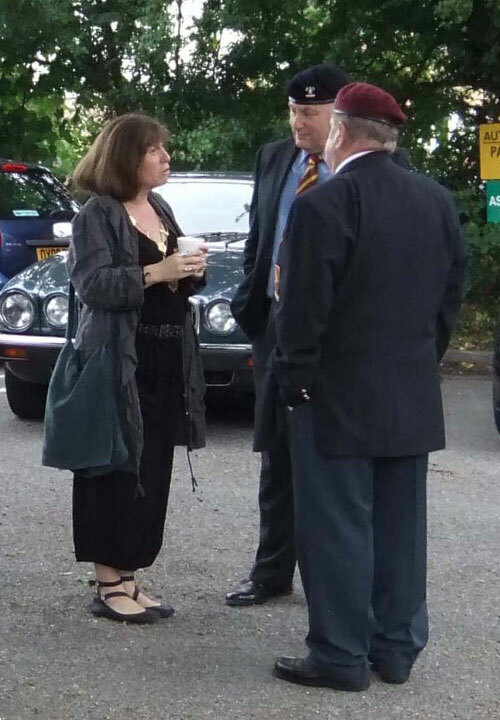 Deputy Lord Lieutenant of Oxford Rod Walker, Lord Mayor Councillor Elise Benjamin, Chairman Oxfordshire County Council Councillor Patrick Greene, Colonel (Rtd) B. A. C. Duncan MBE, Royal Tank Regiment. 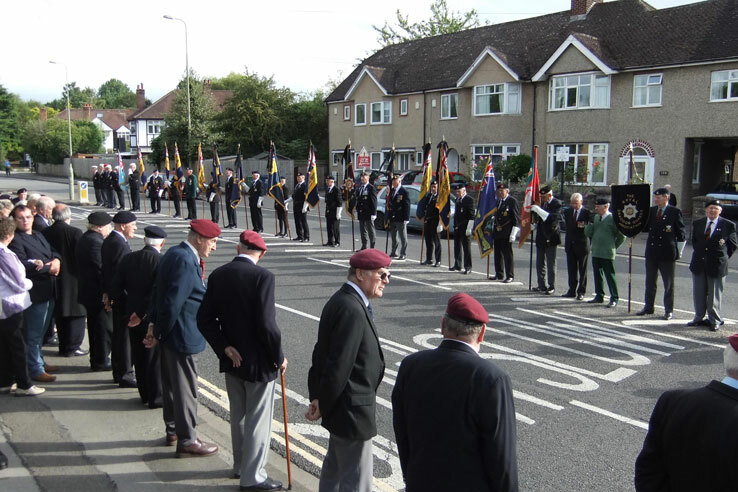 There were 54 veterans wearing berets and medals and 35 others from all three services. Thames Valley Police was out in force doing their normal duties and also standing alongside us on parade, under Chief Inspector C. Agger. 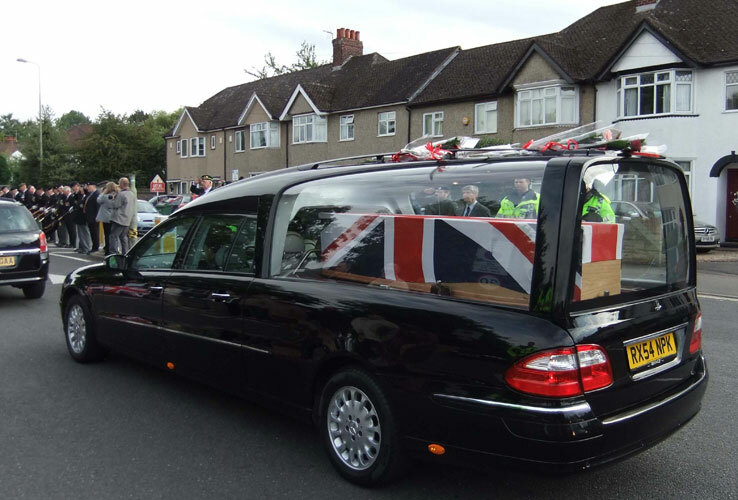 There were also Graham Cloudcroft (Chaplain to the Thames Valley Police), Mary and John from the Church (John having half-masted the Union flag), and John Jones of the St John’s Ambulance. Two RBL Bikers, Tony and D. Dickinson joined us, Martyn being elsewhere on duty. The Oxford public was out in force, not only here at the Final Turn, with their huge Union flags and the Ulster flag, but also from the Oxford ring road into Marston and all the way up the hill to us. 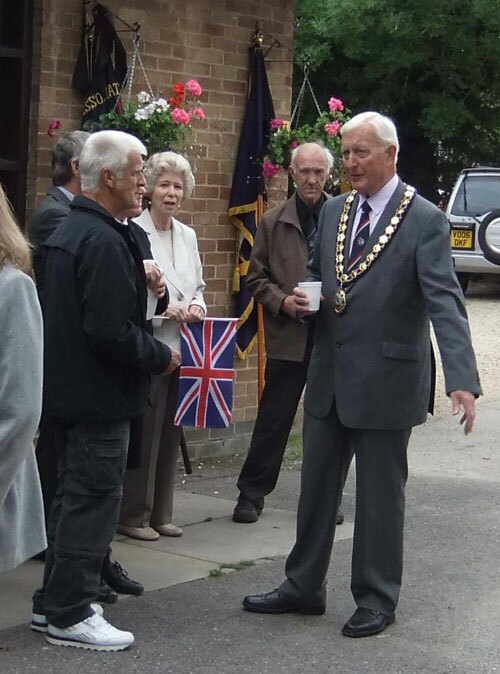 Many thanks to Harry Mennie (former Para) for helping me put these lists together and also to the wives and partners of the veterans for their help in organising tea and coffee, etc. and for clearing away afterwards. We thank also Father Aldo for the use of the church facilities, not only for the wash area but also for the use of the large car park. The parade marshal was J. Lewendon (former RA). G. Whelan was away on other duties. The weather was kind, with late sun and 15°C. 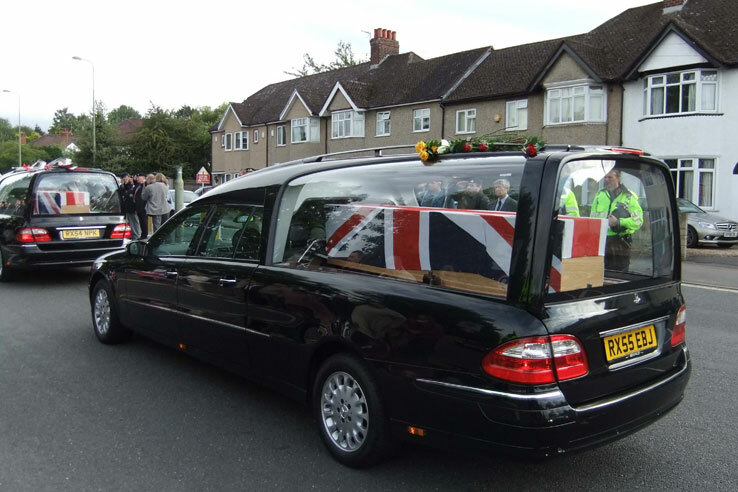 The cortege passed us by at 1805hrs.